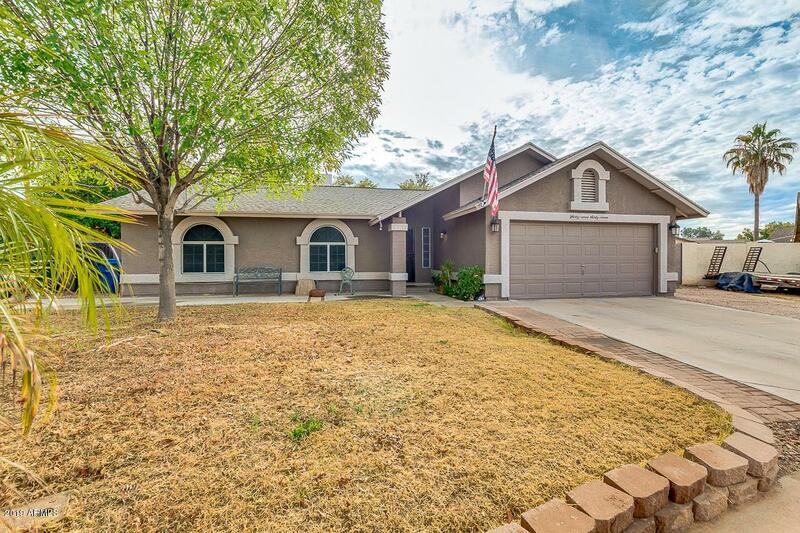 Beautifully crafted 4 beds, 2 baths home in Mesa! 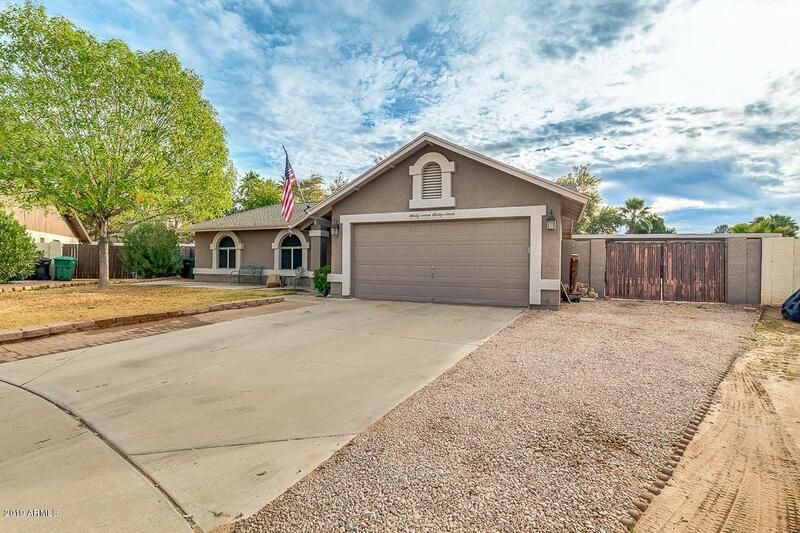 Nestled on a quiet cul-de-sac, this charming property offers grassy/gravel front yard, 2 car garage, RV gate, and front seating area. 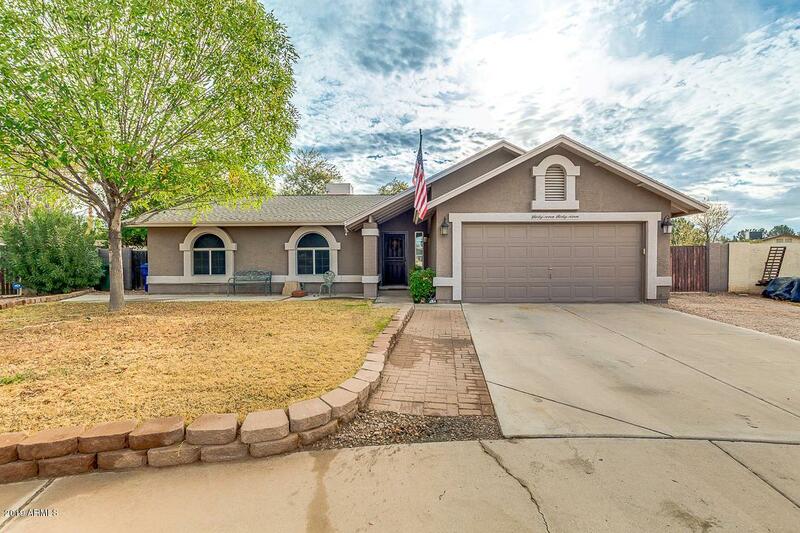 Step inside to find vaulted ceilings, custom paint, tile flooring in transit areas, formal living room, Arizona room perfect for a family/entertainment room, and tons of natural light throughout. Eat-in kitchen is equipped with matching appliances, ample cabinetry, and breakfast bar. 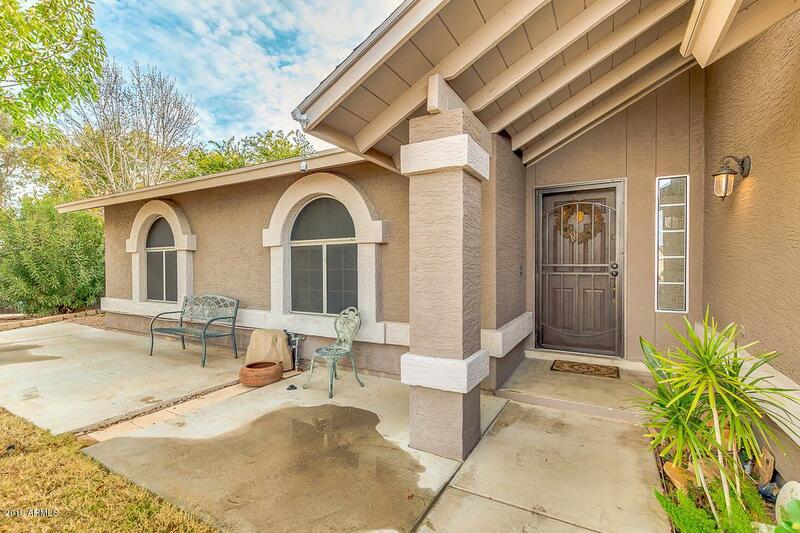 Master retreat has sitting room with backyard exit, walk-in closet, and full bath with dual vanity. Large backyard is perfect for entertaining featuring extended covered patio, built-in BBQ, grassy landscaping, and sparkling blue pool. What more can you ask for? Hurry to schedule a showing, because a beauty like this won't last!